Got garlic mustard? Join the competition! Our Garlic Mustard Pull-A-Thon is an annual fundraiser. Young people and adults throughout Southeastern Wisconsin work to protect their neighborhood woodlands by forming teams to pull this invasive plant. Since the Pull-A-Thon began six years ago, teams have collectively pulled more than 55 tons of garlic mustard and dame’s rocket! This year, our goal is to collectively pull 20,000 pounds and raise funds to fight invasive species. 2019 Pull-A-Thon Teams are forming throughout Southeastern Wisconsin. 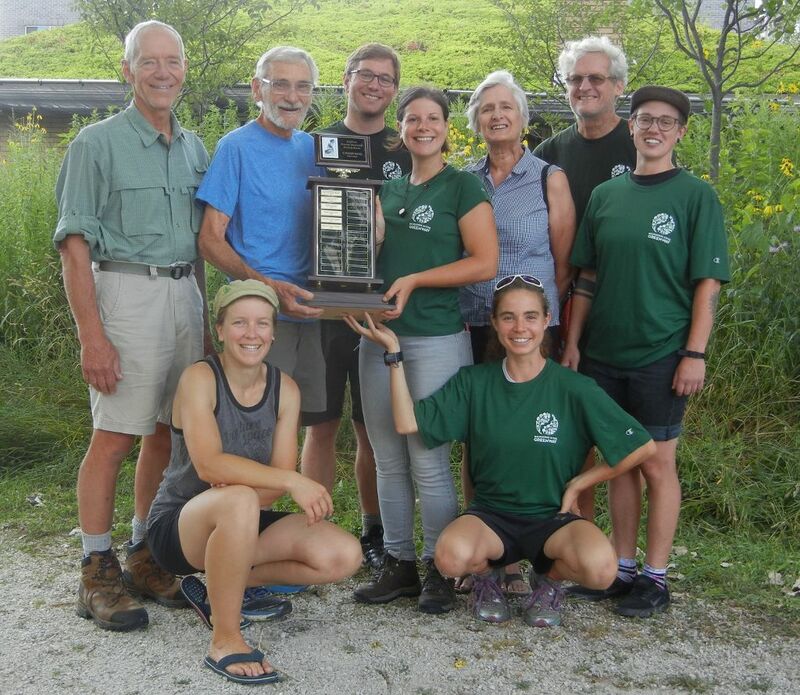 A trophy and bragging rights will be awarded to the team that pulls the most garlic mustard/dame’s rocket and pulls in the most donations by June 30. 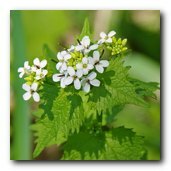 Garlic Mustard (Alliaria petiolata) is an invasive plant that’s taking over our woodlands. 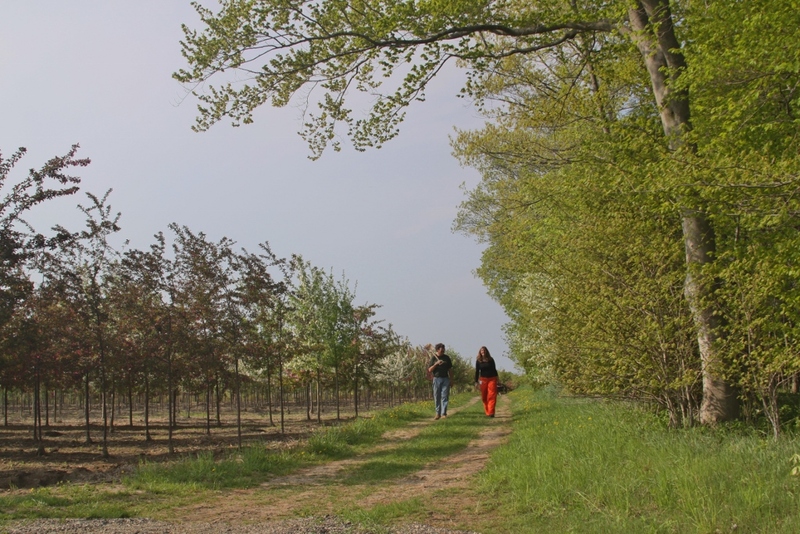 It crowds out our native wildflowers and endangers forests by preventing tree seedlings from growing. To make matters worse, none of our native insects or wildlife eat it! Dame’s Rocket (Hesperis matronalis), another invasive member of the mustard family, can be pulled and bagged along with garlic mustard during the competition, giving each team extra pounds we call a Rocket Boost! Even the smallest of efforts can make a big difference toward reducing the impact of invasive species. 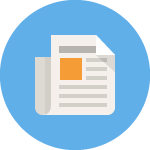 Urban landowners as well as those who own and manage larger acreages can now encourage good stewardship and backyard conservation practices by posting these signs. 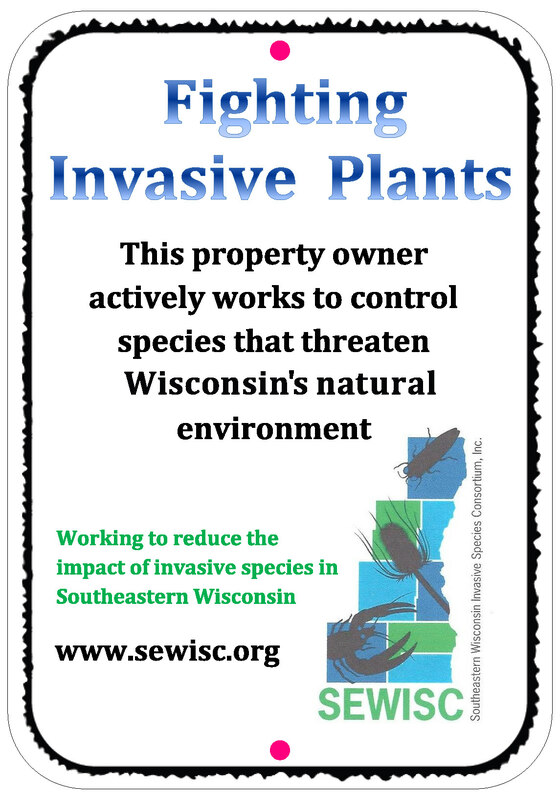 Whether you have rural acreage, a suburban yard, or a city lot, you can help protect the environment by controlling invasive species and promoting that stewardship practice to others. The high-quality 9x12 inch aluminum signs are available for only $16.99 each or two for $29.99 (price includes shipping and handling). Want to order more than two? Contact us at: for a price quote. To order just download, complete, print and send a SEWISC Sign Order Form with your payment. Supplies are limited! Thanks to the U.S. Forest Service for Great Lakes Restoration Initiative funding that made this website possible!